The Bihar Board Intermediate Commerce Result 2014 is going to be declared today on 27 May 2014, as confirmed by the Bihar School Examination Board (BSEB) on its website. Students who appeared for the Bihar Board Intermediate exams for Commerce stream this year now have to wait a few more hours just to see their results. 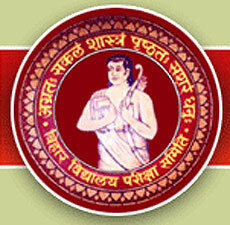 The Bihar Board Intermediate Commerce Result 2014 can also be accessed at this link: https://www.jagranjosh.com/results/2014-bseb-bihar-board-12th-commerce-result-2014-12th-81402. Just click on it and get your results easily. The Intermediate examinations 2014 in Bihar were held from 15 February to 28 February 2014 for all streams -- Arts, Commerce, and Commerce. Around 981,778 students registered for the Class 12 examinations in the state, out of them 410,662 were girl. Last year, the Bihar Intermediate Commerce results were declared on 23 May 2013 for about 90,000 students who appeared in the Commerce stream examinations 2013. The Bihar School Examination Board BSEB) is a board of education that executes under Government of Bihar. It is established to facilitate education and conduct examinations at secondary and senior secondary level for both government and private schools belonging to state of Bihar on the basis of syllabus as prescribed by the Government of Bihar. With headquarter in the capital of the state, Patna, it also conducts departmental examinations such as Diploma in Physical Education, Certificate in Physical Education and Teachers Training Examination. The Board conducts secondary and senior secondary school examinations twice a year -- one being annual board examinations in the months of February-March and other being supplementary examination held in August-September of every year. The team at jagranjosh.com wishes all the very best to all the students who appeared in the Bihar Board Intermediate Commerce exams 2014.